Beautifully positioned in a sought after location just moments from the vibrant heart of Paddington is this quintessential Queenslander cottage. Standing proudly on an elevated north-facing 405m2 block, this home has an appealing and timeless street presence. A generously deep front verandah offers the perfect vantage point to appreciate views over the suburb, while inside the property oozes character and charm. 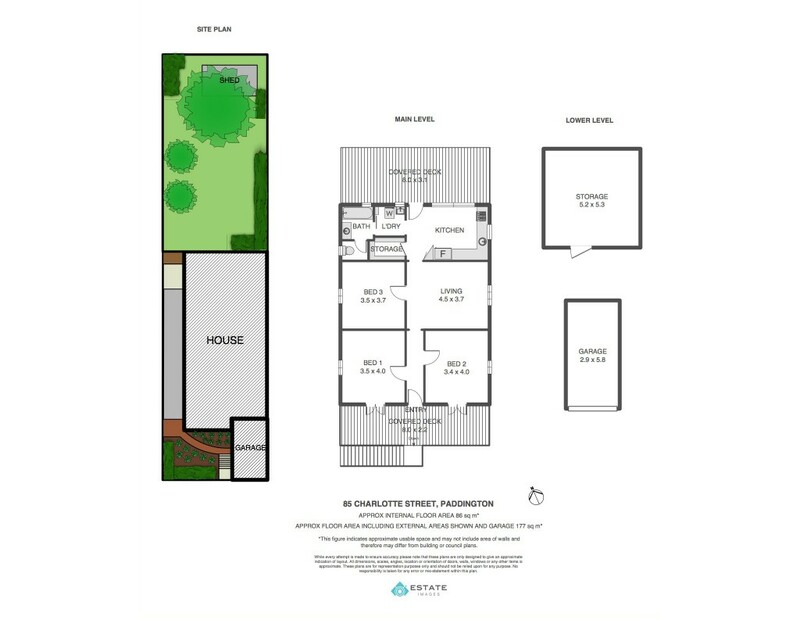 You will find a traditional and practical layout, with a central hallway and living towards the rear. At the front of the home are two large bedrooms, both with fans, air-conditioning and French doors opening to the veranda. A third bedroom also has air-conditioning and extensive built-in cupboards. The central living area is large and inviting, while at the rear, the well-appointed kitchen has stainless steel appliances and plenty of storage including a walk-in pantry. The kitchen can also accommodate a meals area. Servery windows open the kitchen to the covered and sheltered rear timber deck, connecting these rooms and offering the perfect spot for dining and entertaining all year round. The deck flows immediately onto the backyard, which is flat, expansive and just begging to be played on! The positioning of the home towards the front of the block has created a surprisingly large yard, offering loads of opportunities for future renovations. Located just off the kitchen is the neat and tidy bathroom and the laundry and there is a separate toilet. The property has a lock up garage with remote door at the front and heaps of secure storage underneath the home. This home is an absolute beauty - offering a comfortable and easy place to live now, with future potential to renovate and capitalise on the superb inner city location. It is just two blocks from the vibrant atmosphere, shops and transport of Paddington's Given Terrace and approximately 3kms to the CBD. Don't delay an inspection.